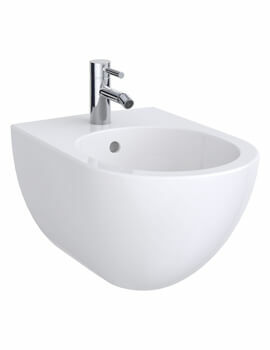 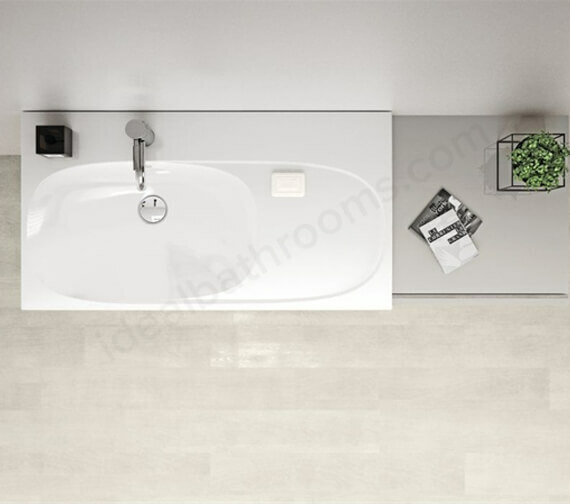 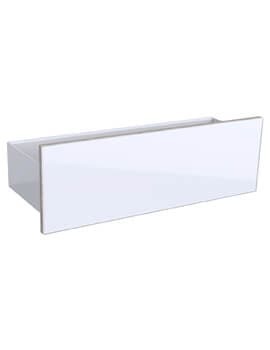 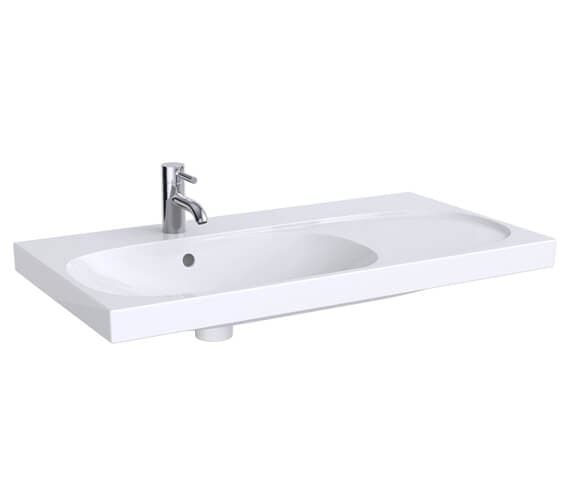 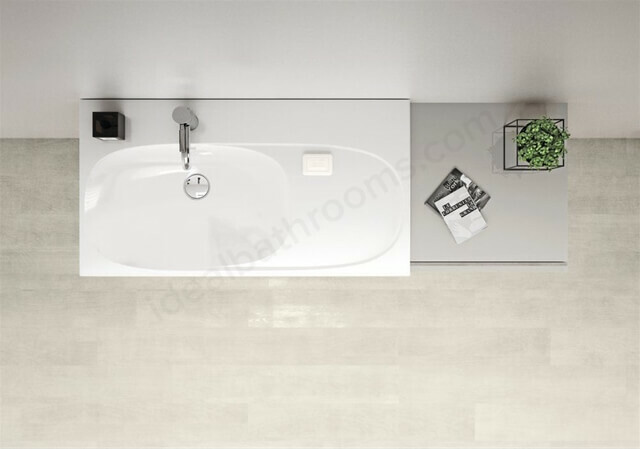 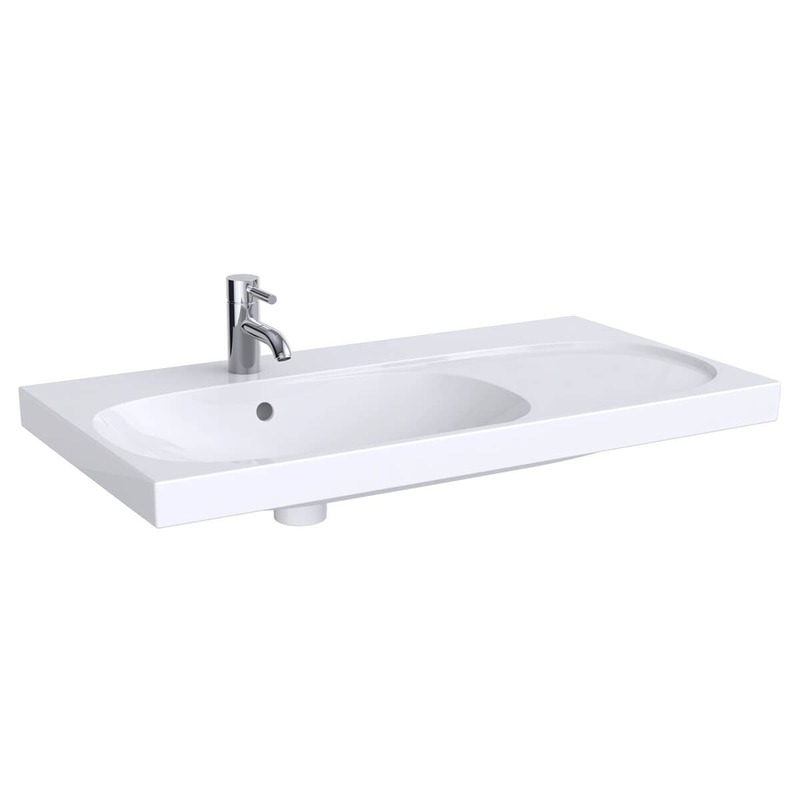 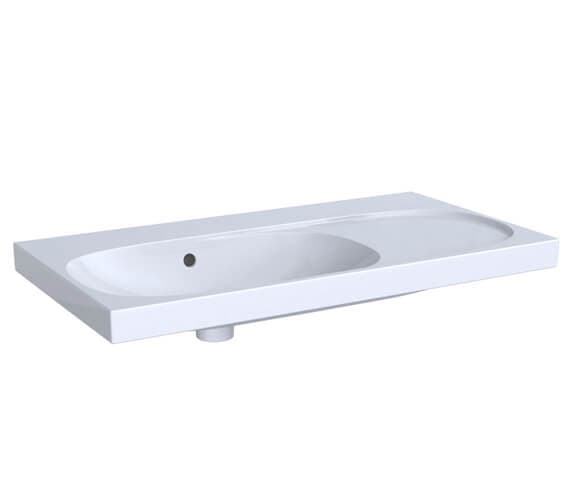 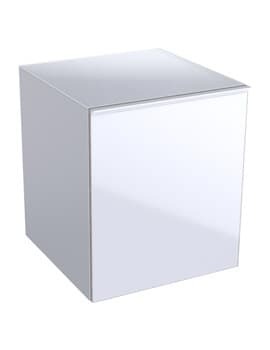 The Geberit Acanto Washbasin with Shelf Surface is manufactured from a sturdy and striking fine fireclay material and comes in a bright white finish that fits in beautifully into any bathroom or handwashing area with ease and style. 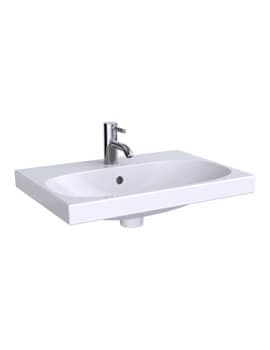 Capable of easy fastening with a Geberit washbasin via the included EFF1 wall fixing included, this unit can be installed on top of compatible washbasin, or it can be installed up on the wall if preferred. 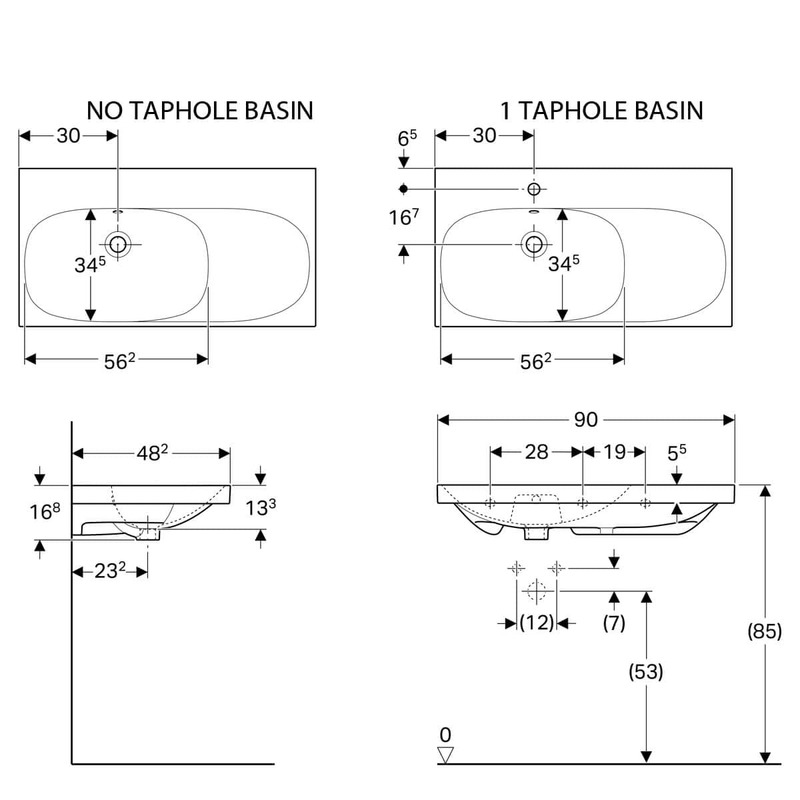 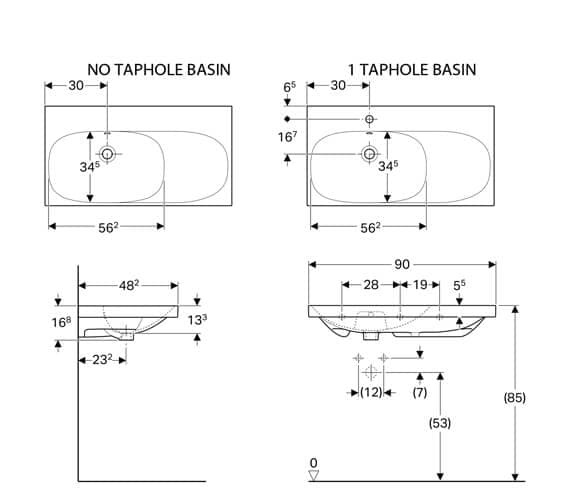 Unique asymmetrical design available with one tap hole or no tap holes for use, this product does not include the tap shown with this item.